Berlin (Germany) -- History -- 1945-1990 -- Comic books, strips, etc. Comic books, strips, etc. -- England. Executives -- Japan -- Comic books, strips, etc. Photographers -- Comic books, strips, etc. Spies -- Germany -- Comic books, strips, etc. Spies -- Great Britain -- Comic books, strips, etc. Wolverine (Fictitious character) -- Comic books, strips, etc -- Fiction. Wolverine : Old Man Logan. Vol. 6, Days of anger / writer, Ed Brisson ; artist, Mike Deodato Jr. ; color artist, Frank Martin. Wolverine : Old Man Logan. Vol. 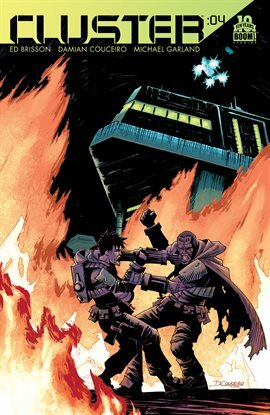 9, The hunter and the hunted / writer, Ed Brisson ; artist, Francesco Manna, Juan Ferreyra ; color artist, Carlos Lopez. Wolverine : Old Man Logan. Vol. 8, To kill for / writer, Ed Brisson ; artist, Dalibor Talajić (#36-38), Ibraim Roberson (#39-40) ; color artist, Carlos Lopez ; letterer, VC's Cory Petit. Wolverine : Old Man Logan. Vol. 7, Scarlet Samurai / writer, Ed Brisson ; artists, Mike Deodato Jr. & Ibraim Roberson ; color artists, Frank Martin & Carlos Lopez ; letterer, VC's Cory Petit. Atomic blonde / written by Antony Johnston ; illustrated by Sam Hart ; lettered by Ed Brisson. Shutter. 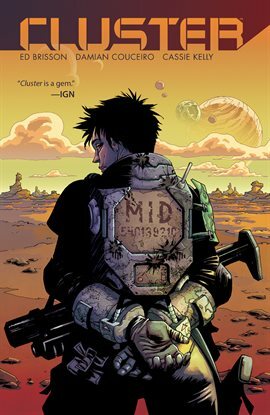 Volume 1, Wanderlost / Joe Keatinge, [writer] ; Leila Del Duca, [artist] ; Owen Gieni [colorist] ; Ed Brisson, [letterer]. Rat queens. 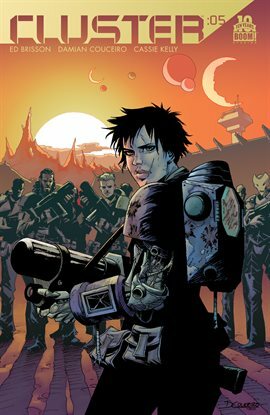 Volume three, Demons / Kurtis J. Wiebe, story ; Tess Fowler, art ; Tamra Bonvillain, colors ; Ed Brisson, letters. Loveholic. 1 / Tōko Kawai ; [translation, Issei Shimizu ; lettering, Ed Brisson].